A new Benson Medical Instruments video, Black Lung Disease – Is Your Spirometer Compliant? focuses on black lung disease and occupational spirometry for miners who are at risk of developing it. Black lung disease is caused by inhaling coal dust over an extended period of time. There is no cure for this disease, which is also known as Coal Workers Pneumoconiosis (CWP). Occupational spirometry testing is instrumental in helping medical professionals identify workers who may have black lung disease so that they can receive the help they need. In 2016 NIOSH set new standards for spirometers used for the Coal Workers’ Health Surveillance Program (CWHSP). NIOSH defined a comprehensive CWHSP report format. In addition, spirometry test result data must be transferable from testing facilities and clinics to NIOSH. Benson Medical Instruments’ CCS-200 Plus Spirometer meets the established standards and provides further benefits such as advanced reporting and analysis, and multi-year recordkeeping for each subject. Moreover, the CCS-200 Plus operating software has a built-in subject readiness interview to help the occupational health professional determine whether the coal miner should be tested on that particular day. Benson Medical Instruments Co. designs and manufactures audiometers, earplug fit testers, spirometers and software to manage hearing conservation and occupational spirometry programs. Benson instruments are widely used in military, industrial, and government safety and health applications. 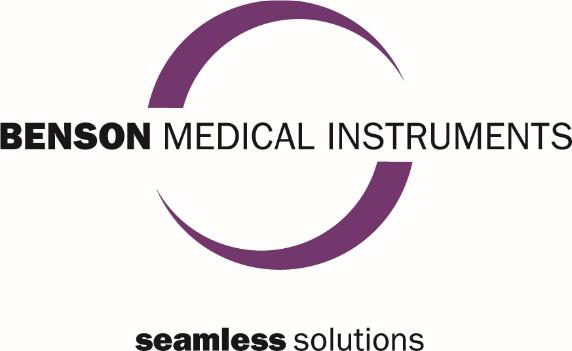 For more information: Jim Teter, Sales Manager, Benson Medical Instruments Co., 310 Fourth Avenue South, Suite 5000, Minneapolis, MN 55415 USA (Office) +1 612-827-2222 (Email) sales@bensonmedical.com (Website) Benson Medical (http://bit.ly/2b3285i). Related Companies: Benson Medical Instruments Co.